John Coulson will conduct a class on his book Wee Willie Sherdel in York, PA at the Osher Lifelong Learning Institute from 1:00 to 2:30. The event will take place at the York campus of Penn State University. John Coulson along with John Sherdel will provide a program on the early history of baseball in Hanover, PA. The program is part of a series entitled The Eight Dimensions of Wellness. It focuses on the intellectual dimension of wellness in your life. The program is a lunch and learn session at noon at the UPMC Pinnacle Hanover-Medical Fitness Center, 250 Fame Avenue, Suite 100, Hanover, PA. To attend, please bring a lunch and RSVP to (717) 316-3488. John Coulson was the live radio guest on the KMOX Hancock and Kelley Show in St. Louis. John Hancock and Chris Mihill were substituting for the regular Charlie Brennan Show. Hancock did the 10 minute interview with Coulson about the Wee Willie Sherdel book. Hancock used the words "wonderful, wonderful" and "great" to describe the book. He suggested Sherdel should be considered for the Cardinals' Hall of Fame. KMOX is the 50,000 watt flagship radio station for the St. Louis Cardinals and covers the Midwest at 1120 on the dial. The interview can be accessed on the KMOX website and begins at 28:18 of the program. The author of Wee Willie Sherdel appeared at the Gettysburg Library at 6:30. John Coulson presented a program on the book. The event was held on the opening day of the 2019 Major League season. Willie's grandson displayed memorabilia from Sherdel's career. The event was sponsored by the Barley Snyder law firm. Attorney Scott Kelley and Gettysburg Library's Steve LaBarre introduced the program. It was a great evening with Cracker Jacks, peanuts and 46 people in attendance. John Coulson and John Sherdel presented at a 9:00 meeting of the St. Paul's Lutheran Church Men in Mission Breakfast Group at the Hanover Railside Family Diner. Great turnout! Thirty-five interested attendees. John Coulson spoke at a men's meeting of the Wesley United Methodist Church in Hampstead, Maryland. The event began with a dinner at 6:30. John Sherdel displayed his grandfather's baseball items. Enjoyable evening with a very hospitable group of men. 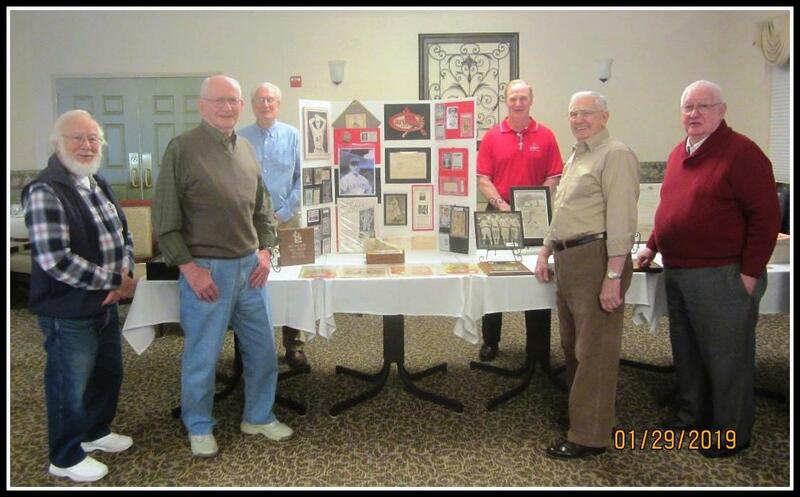 John Coulson and John Sherdel attended a noon luncheon with 17 others at SpiriTrust Lutheran at Utz Terrace in Hanover, PA. John C. spoke after lunch and John S. shared his grandfather's memorabilia. Great conversation and excellent food. Wonderful time. 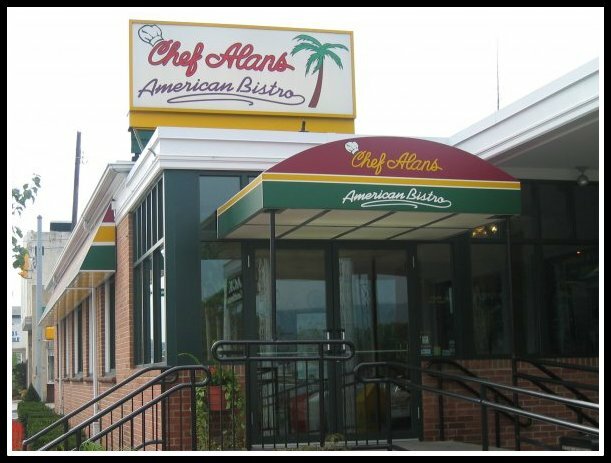 John Coulson spoke at a noon luncheon of the Talkin' Baseball group at Chef Alan's Restaurant in West Reading, PA. John Sherdel shared his grandfather's memorabilia. The interested baseball fans enjoyed the program. Very few had heard of Wee Willie prior to the talk. The author signed copies of his latest book. Great food and conversation. John Coulson spoke to the Bob Davids (Mid-Atlantic) Chapter of SABR (Society of American Baseball Research) at its "Talkin' Baseball" book group on Saturday, January 5. The meeting was held at 9:00 at the Brighton Gardens center in Columbia, MD. This chapter serves the Chesapeake Bay area and is centered in Washington. John Sherdel provided his grandfather's baseball items. Enthusiastic baseball fans discussed Sherdel and 1920s baseball for two hours. Author Coulson spoke with the Methodist Men's Group of First United Methodist Church at its monthly dinner meeting. 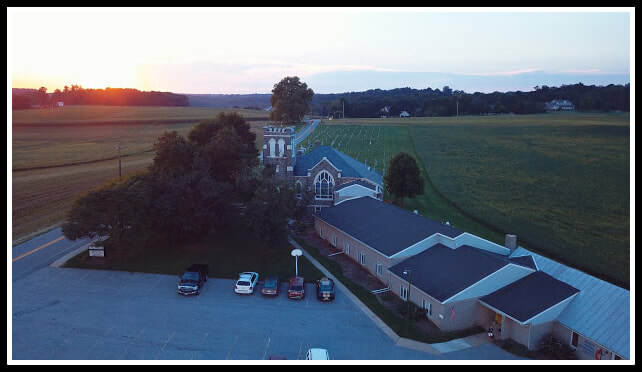 The church is located at the corner of Centennial Ave. and Frederick St. in Hanover, PA. The program was attended by 32 people. Willie Sherdel's grandson John displayed mementos from Willie's career. Baseball historian and author John Coulson entertained a public audience at Trinity United Church of Christ, 116 York Street, Hanover on Sunday afternoon, November 18 at 1:30. He presented a program on his new book about local hero Bill Sherdel, the Cards' winningest lefty. John Sherdel displayed mementos from Willie's career. The event, sponsored by the Women of Trinity, had a baseball theme with hot dogs, popcorn and cracker jacks. Attendees were encouraged to wear clothing advertising their favorite teams. A crowd of nearly 50 people attended. John Coulson presented his Wee Willie Sherdel program at a November 11 meeting of the John Timon Reily Historical Society in the McSherrystown Senior Center. John Sherdel displayed his grandfather's memorabilia. A nice crowd of interested people attended and asked many questions about their local baseball great. 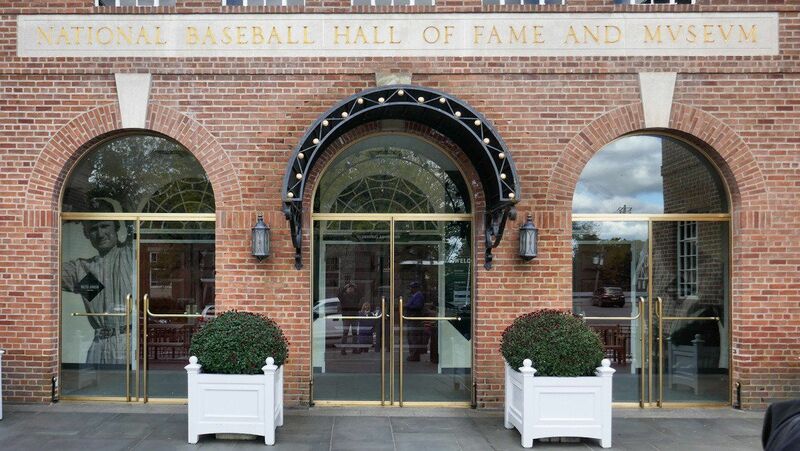 John Coulson's new book on Wee Willie Sherdel was delivered to the library at the National Baseball Hall of Fame and Museum in Cooperstown, NY. It will remain there for future baseball research. Author John Coulson with John Sherdel presented a program on Wee Willie Sherdel at Red Land Library in Etters, PA at 6:30 PM. An enthusiastic group of baseball fans enjoyed the evening at the Newberry Commons library. "Really interesting program this evening on "Wee Willie Sherdel" - a local kid who played for the St. Louis Cardinals 100 years' ago. Thanks to author and baseball historian John Coulson for the stories and to John Sherdel for bringing memorabilia from his famous grandfather. Special treat, I got to wear Wee Willie's 1926 World Series ring." "Great program last evening at the Red Land Library. Very well done and very informative. This was one of the best history stories I have attended." -Lance G.
John Coulson presented a program on Wee Willie Sherdel at Guthrie Memorial Library in Hanover at 6:30 PM. Sherdel's grandson John displayed some of Willie's memorabilia. Fifty people attended the event. The author and John Sherdel presented a copy of Wee Willie Sherdel to the residents of McSherrystown at a Borough Council meeting. A book launch was held at the Knights of Columbus in McSherrystown, Pennsylvania from 6:00 to 8:00 PM with a large, enthusiastic turnout including many Sherdel family members. The author introduced his new book Wee Willie Sherdel and signed autographs. John Sherdel spoke and displayed some of his grandfather Willie's memorabilia. Attendance was by invitation.